Democratic gubernatorial candidate says it’s time to legalize cannabis for recreational and medicinal use, and grow Wisconsin’s economy. MADISON, WI - Democratic gubernatorial candidate Kelda Roys released a video Thursday highlighting the positive impacts that legalization of cannabis for medical and adult recreational use can have in Wisconsin. Heath: I was an opera singer for several years… There was this one time where I had to jump off stage, and it made me blow a disc in my back. I did not have health insurance at the time - I couldn’t really go to the doctor and have a surgery at the time, so I had to medicate it. 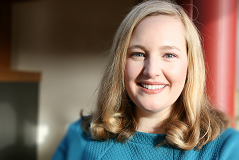 Kelda Roys: I’m Kelda Roys and I’m running for governor of Wisconsin. It’s time for our state to legalize cannabis, both for medicinal purposes and for adult recreational uses. Thousands of Wisconsinites are suffering from chronic pain from muscle spasms. Cannabis can help alleviate those symptoms, relieve their suffering, and it’s often safer than alternatives like opioids. Secondly, we’ve got a huge criminal justice problem in our state. We incarcerate too many people and we have some of the worst racial disparities in the nation. Now, legalizing cannabis isn’t going to solve our criminal justice problems, but it is certainly a step in the right direction. Finally, legalizing cannabis can have a great impact on our economy. Think of all the family farmers in Wisconsin who are struggling to make ends meet. A cash crop like industrial hemp or cannabis can help them do that. Finally, the states that have legalized cannabis have seen an influx of hundreds of millions of dollars in new tax revenue. We can put that revenue to great use in Wisconsin on our schools, our roads, our healthcare system. I’m Kelda Roys, and it’s time to legalize cannabis in our state.